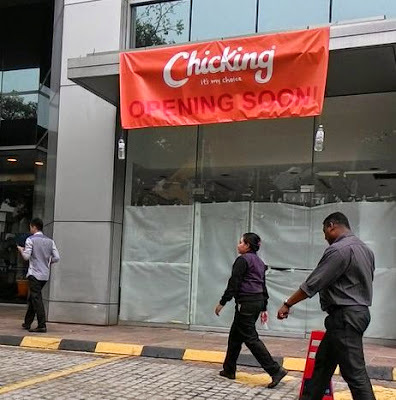 A banner at Bangunan TH Uptown 3 bear the wordings ChicKing is coming. Could this be the fast food operator ChicKing Fried Chicken? If so, McDonald's located a short distance away will soon have a competitor.